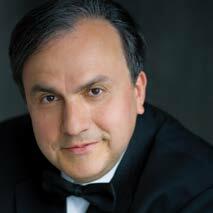 ASHEVILLE, N.C. – The Asheville Symphony opens its 2017-2018 Masterworks Season with a performance by one of the most celebrated pianists of our time, Yefim Bronfman, who makes his Asheville Symphony debut in Beethoven’s beloved “Emperor” Concerto. The Sunday matinee concert takes place on September 24 at 4 p.m. in Thomas Wolfe Auditorium under the direction of ASO Music Director Daniel Meyer. This will be one of Meyer’s last two concerts with the Asheville Symphony. His 13-season tenure will conclude with a New Year’s Eve celebration concert on Sunday, December 31 featuring Orff’s Carmina Burana. The six remaining Masterworks concerts will be conducted by the six finalists vying to become the Asheville Symphony’s next music director, as part of their audition process. Praised for his lyrical gifts, Yefim Bronfman has been nominated for six GRAMMY Awards, winning in 1997 for a recording of the three Bartok Piano Concerti. Bronfman is hailed by The Washington Post as “one of the most no-nonsense pianists around…also one of the most gifted and brilliant and versatile.” An acclaimed soloist, he is a recipient of the prestigious Avery Fisher Prize, one of the highest honors given to American instrumentalists, and has toured extensively around the world. This fall he will open the Israel Philharmonic’s season with Zubin Mehta. Composed during Napoleon’s siege of Vienna, Beethoven’s fifth and final piano concerto is filled with majesty, poetry and triumph. Nicknamed “Emperor” for its regal tone, this concerto has earned a reputation for its technical difficulty as well as its beauty. 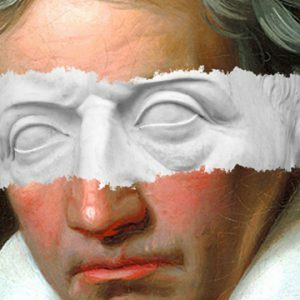 Next on the program is Liszt’s Les préludes, which utilizes the rich sound that each section of the orchestra contributes to develop its lush and powerful tone. Les préludes is one of the earliest and most beloved examples of a symphonic poem, a genre that Liszt is credited with helping to create and popularize. A symphonic poem is a piece of orchestral music that is typically one continuous movement illustrating a poem, story, painting, or another non-musical source. Rounding out the program is Rimsky-Korsakov’s Capriccio espagnol, which ASO Music Director Daniel Meyer describes as “a sparkling orchestral suite that spotlights the individual soloists of the orchestra as well as each section as a virtuoso group. It is Spanish flavor re-imagined through the mind of a Russian compositional genius, and it all caps a night celebrating the virtuosity of a world-class soloist a well as our own terrific soloists emerging from within the ranks of the ASO.” Though his personal familiarity with Spain was minimal, Rimsky-Korsakov borrowed themes and harmonies from a collection of authentic Spanish songs and reimagined them in his own rich orchestration. Single tickets for all concerts are $24-69, depending on seating section (reduced youth pricing is available). Single tickets and season ticket packages can be purchased online at ashevillesymphony.org, by phone at 828-254-7046, or in person at the U.S. Cellular Center box office at 87 Haywood Street. The Asheville Symphony Orchestra performs and promotes symphonic music for the benefit, enjoyment and education of the people of Western North Carolina. The ASO presents concerts in the 2,300-seat Thomas Wolfe Auditorium in Asheville’s U.S. Cellular Center. Related organizations include the Asheville Symphony Guild, Asheville Symphony Chorus, Asheville Symphonettes, and education initiatives such as the Asheville Symphony Youth Orchestra, Music in the Schools, MusicWorks!, Spotlight on Young Musicians, Symphony Talks, and pre-concert lectures. Sunday, September 24, 2017 • 4 p.m.